Advertising branded rice can pose a challenge because rice is after all a commodity, how different can one basmati rice brand be from the other? How does a company position its brand of rice? Well, branded rice companies have been trying to be different to stand out in the clutter. that have appeared in the recent past. Dawat like the others has always been advertised for its long grain and taste and this continues but now a new layer has been added to its proposition in its recent ad and that is about love – serving Dawat is now an expression of love, in other words if you happen to love someone you express it by serving him/her Dawat Basmati Rice. Amitabh Bachchan has been roped in to be the protagonist. 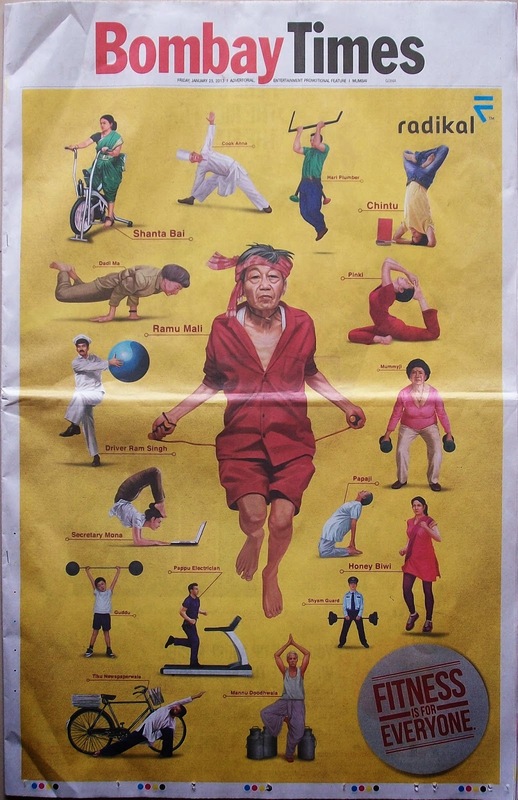 Generally speaking it is a good ad though not exceptional, it tries to rely more on Mr. Bachchan’s star appeal. The recent Kohinoor Everyday Basmati ad is trying to wean away the discerning housewife from the loose basmati rice market. Most consumers are faced with a problem when buying loose basmati rice, one has to carefully check the grain and also the aroma and then decide to buy, but one can never be sure if one has bought the right quality. The ad is based on this particular consumer insight – Kohinoor makes it convenient for the consumer by offering consumer packs of good quality basmati rice at an affordable price so she no longer needs to bother about loose basmati rice. Till sometime ago India Gate Classic Basmati Rice made very generic claims that of longest grain, delightful aroma and delicious taste, but in their recent ad introduces consumers to the company that markets this product; it seems to be more of an image building exercise for the company. I have not understood as to how it helps the consumer. Of all the rice ads I have seen so far Radikal Basmati and Saffola Arise have been most different, coincidently both have positioned their respective products using the active lifestyle platform. Saffola Arise does not claim to be basmati rice and it is a part of the health food range of products the company markets. The current Radikal commercial showing an ancient battle scene seems more convincing than its earlier commercial. 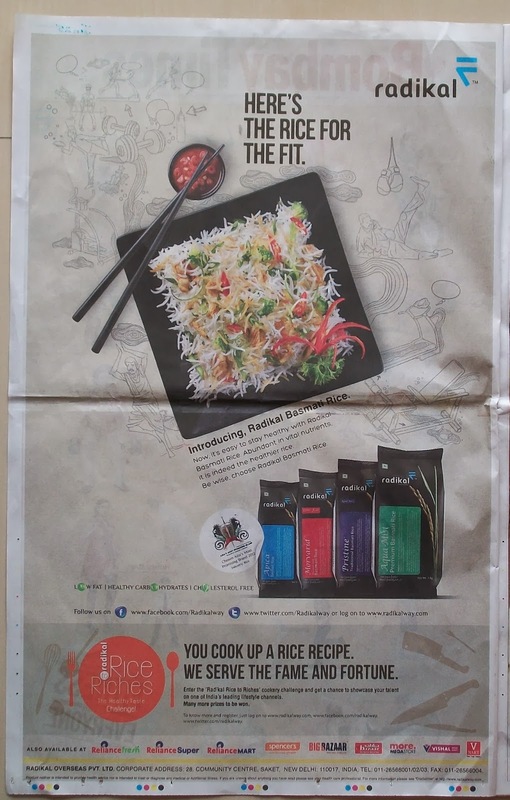 The proposition that ‘Radikal keeps you active and full of energy’ comes out pretty strongly, however there is nothing in the ad that would support this claim, that is, in what way is Radikal different from other Basmati rice brands? From where does the energy giving properties in Radikal come from? The commercial is very well made and the production quality is very good, perhaps that alone is what really distinguishes Radikal from other basmati rice brands. The commercial single-mindedly focuses on the claim that Radikal Rice keeps you active and not drowsy. The voiceover does not mention anything about long grain and aroma; however the visual towards the end does present the rice in an attractive manner. I must say that the branding is pretty good in the ad. The press ad shown below appear the day on which the current TV commercial was launched.